Download the iOS and Android Hebrew vocabulary app! Click here to watch online courses for all 28 chapters! 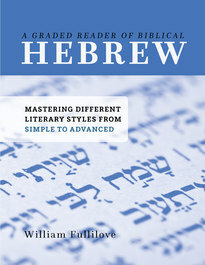 Visit www.introductiontohebrew.com for the book’s answer key, errata, and more. If you’re learning Hebrew, why not enjoy it? Sadly, most students of biblical Hebrew quit their studies at the most crucial moment—the transition from language basics to biblical exegesis. But you can flourish early on and progress further if you learn from the outset to read and explain biblical texts effectively. 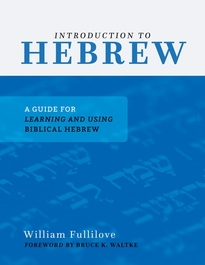 learn how to use your Hebrew knowledge to enrich your own understanding, research, and teaching. Your studies are valuable. Stay engaged as you learn how to handle God’s Word with depth, confidence, and robust exegesis. William Fullilove (M.Div., Reformed Theological Seminary; Ph.D., The Catholic University of America) is the associate professor of Old Testament and dean of students at Reformed Theological Seminary in New York City, as well as an ordained pastor. He teaches Hebrew and Old Testament exegesis and has published on biblical and ancient languages and Old Testament and New Testament topics.